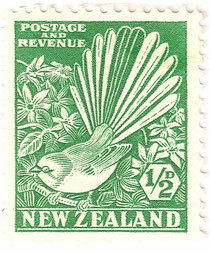 1/2d Fantail - New Zealand Stamps, A 1935 Pictorial overview. 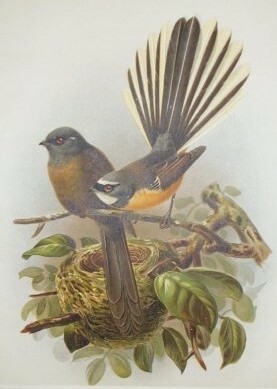 The 1/2d Piwakawaka or Fantail, a small New Zealand bird that is quite common and very friendly. It is portrayed here among the flowering NZ Clematis. 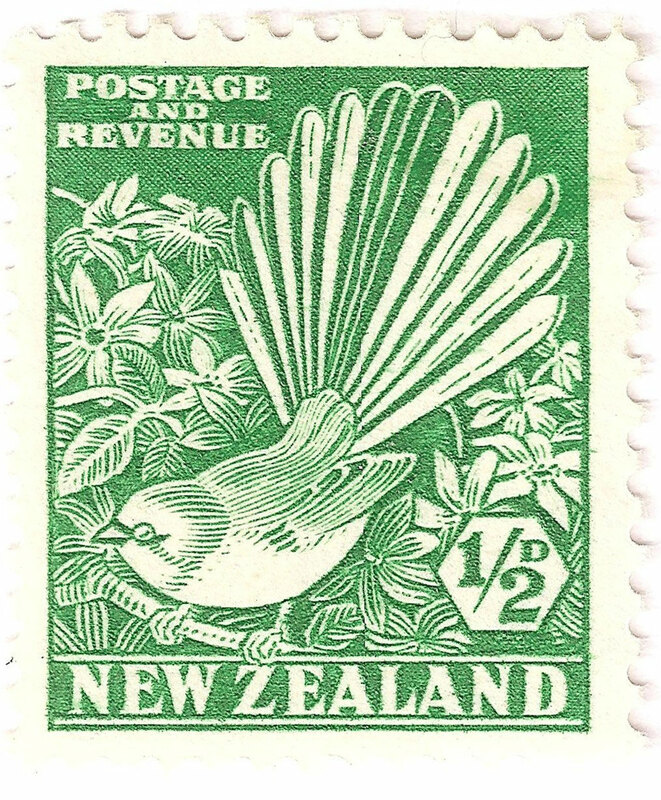 It is said to be the simplest stamp in the set. Although its watermark can often be difficult to determine, the stamp can easily be sorted by its mesh. Designed by J. Fitzgerald.